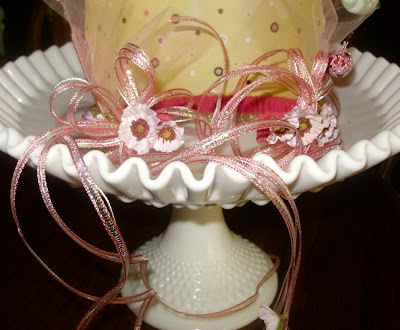 Martha's Favorites: MY FIRST CROWN! I finished my first crown! Please let me know what you think. Could I have found my calling? It was so fun to make and so easy. 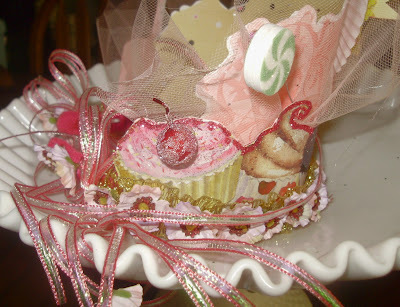 I off to make more. So many people, so few crowns! Great job! Looks good enough to eat. You say it was easy, but it looks like a lot of work! Thanks for stopping by Very Vintage today. The Little French Flea Market is 7/18 from 8am-2pm at the Hidden Chateau Gardens in West Hills. I'll post details soon so be sure to stop by my blog. Hope to see you there! It looks good enough to eat Martha! Very creative, I love it! It's adorable Martha! Fabulous work! 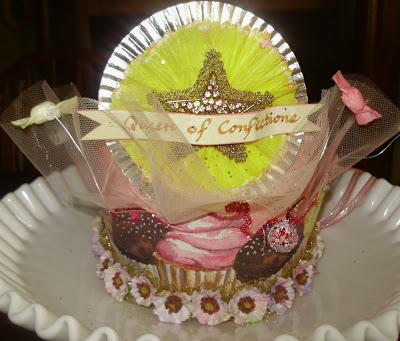 I probably need to read further to see what the confection crown is all about. Your love for creating certainly shows! I live in Riverside...you must be somewhere near me. It's so nice to meet you. :) I am just rummaging around in your posts..I do hope you don't mind. We have lots in common ..except I had a FEW more children than you! AND I am probably older..but on blogs is does not seem to matter. I enjoyed reading your profile very much. I too need to thin things out but keep putting it off...I am always afraid I will need it someday. Long story about that which I may one day post about. Another thing we have in common is loving the way Debbi does out backgrounds. GORGEOUS CAKE! I AGREE WITH THE REST, IT DOES LOOK GOOD ENOUGH TO EAT! IT'S A PARTY, SO WHY AM I CRYING? AM I THE ONLY ONE WHO HATES THE HEAT? 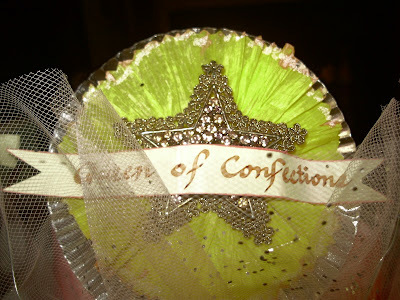 I WAS GIVEN A LOVELY BLOG AWARD!